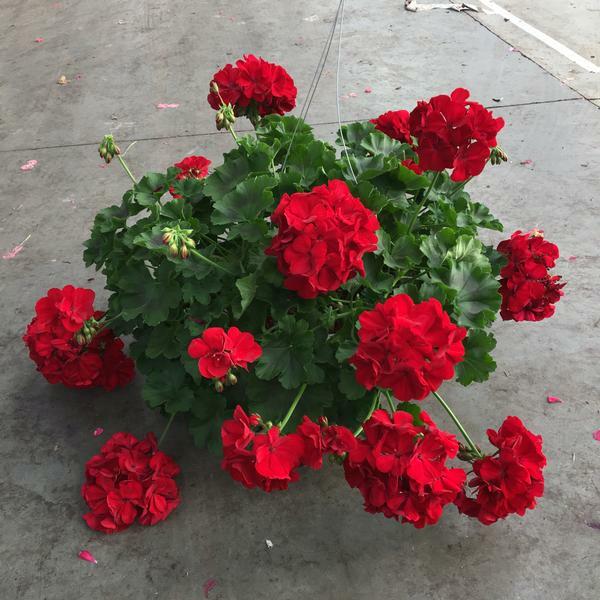 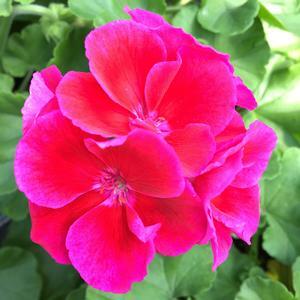 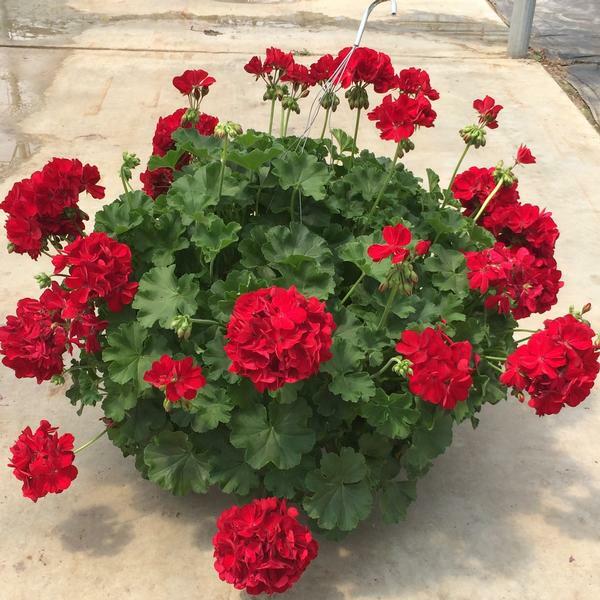 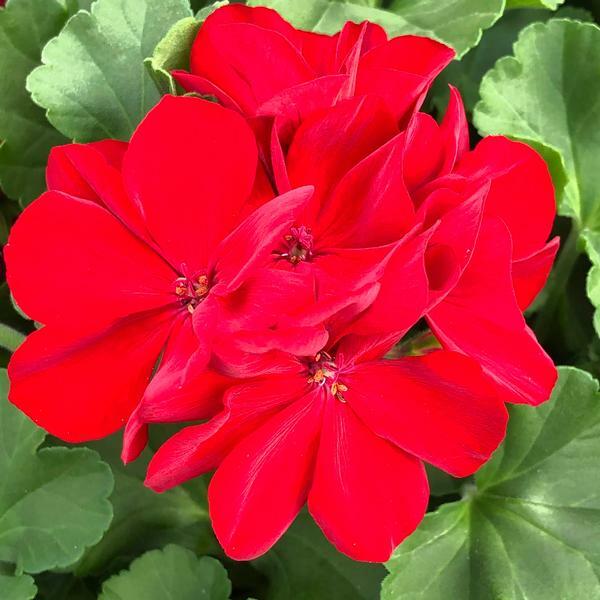 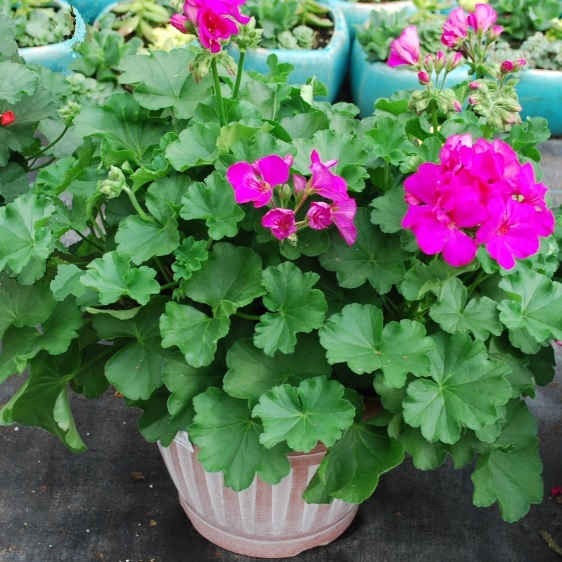 Pelargonium hortorum Geranium - Calliope from Meadowridge, Inc. 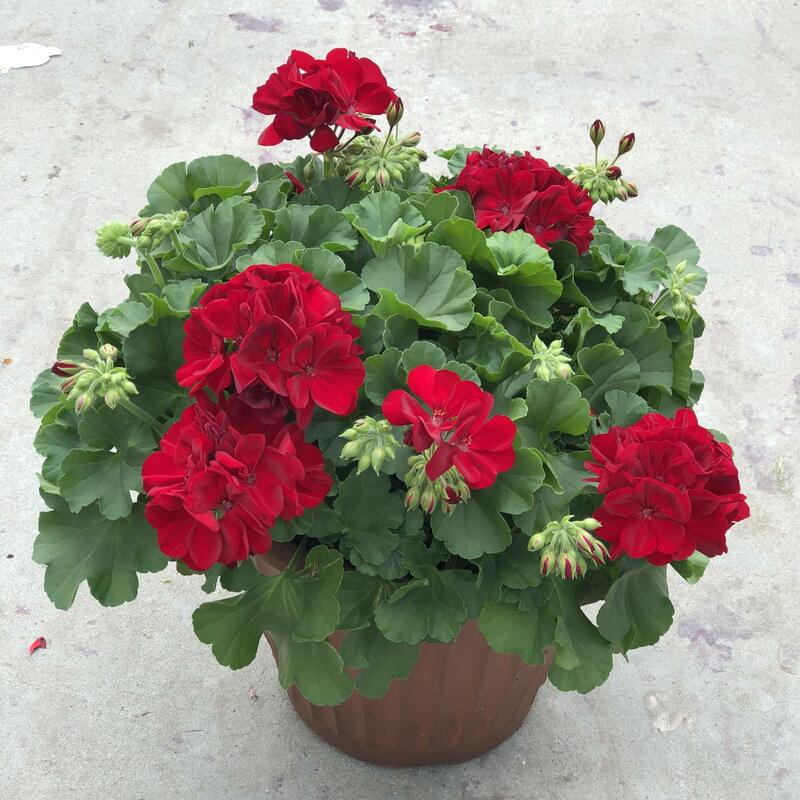 This vigorous grower produces large, dark red, velvety flowers on mounding plants. 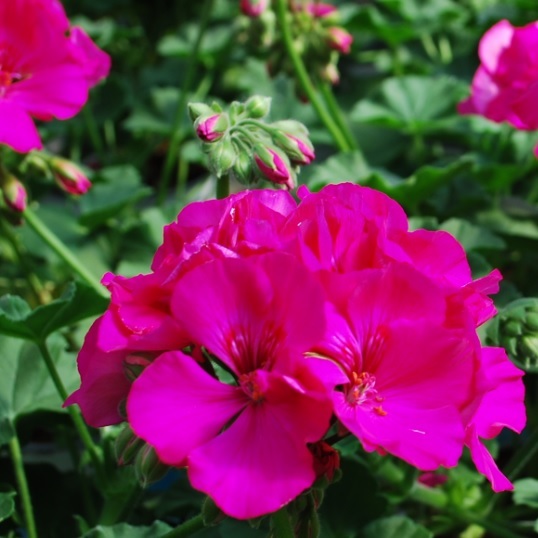 They are a great plant on their own, but work well as a companion plant for landscaping and containers. 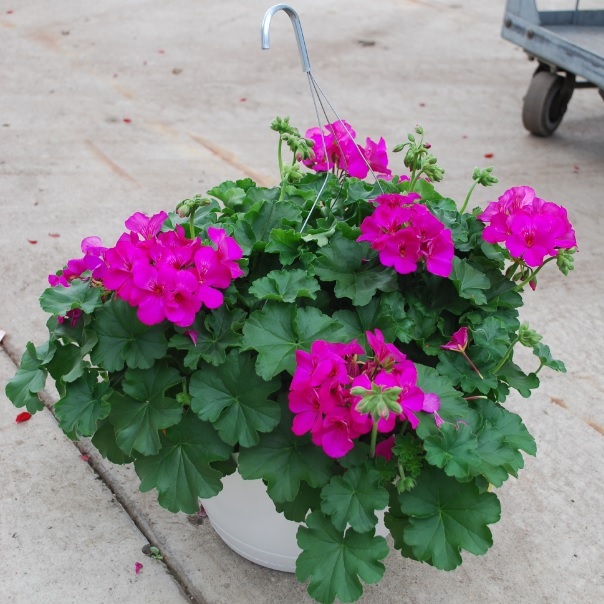 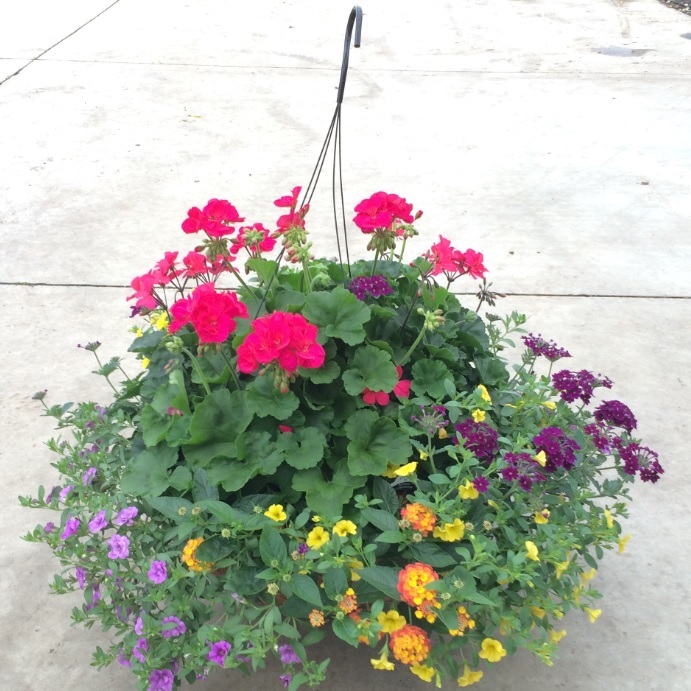 For the 4.5" Garden Exclusives as well as the Basket and Patio Planter programs we use the tighter, compact growth habit (medium) Calliope.